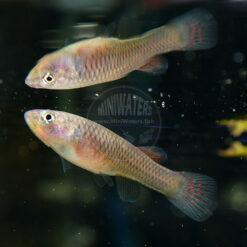 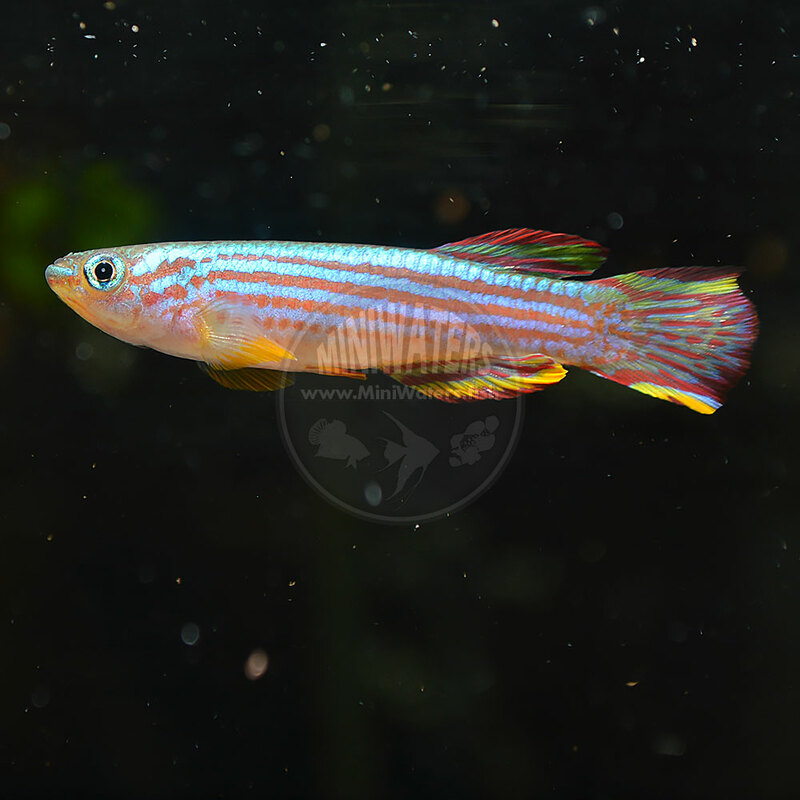 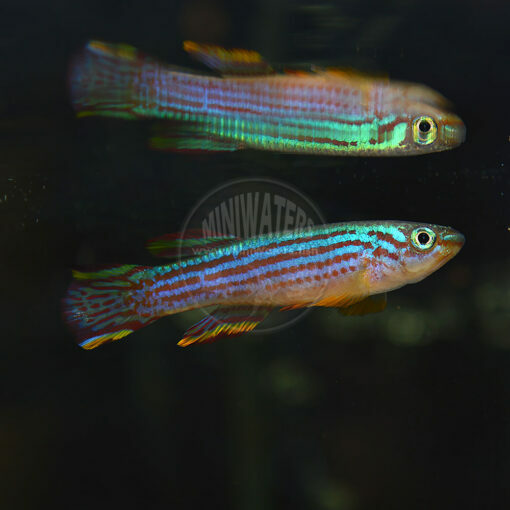 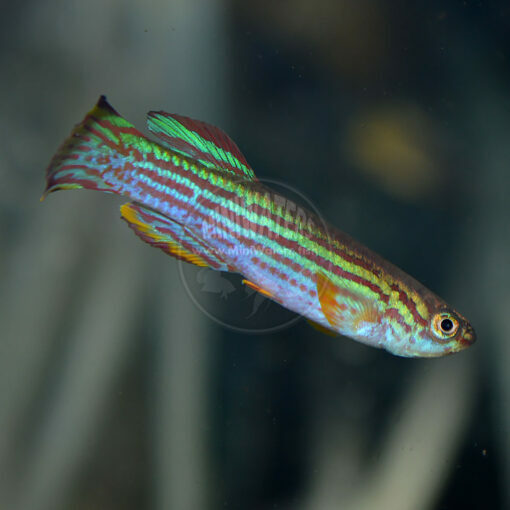 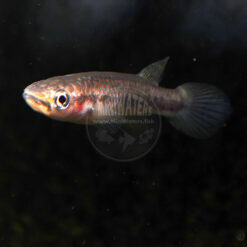 Generally considered easy to maintain, Aphyosemium striatum, the Red-Striped Killifish is also an interesting addition to communities with peaceful tankmates. A pair or two would make a great addition to such tanks, sporting colors that often aren’t see in the average freshwater fish. 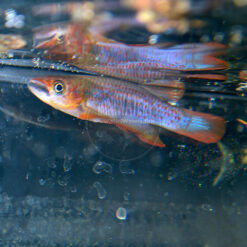 Learn more about the specific strain being offered below.